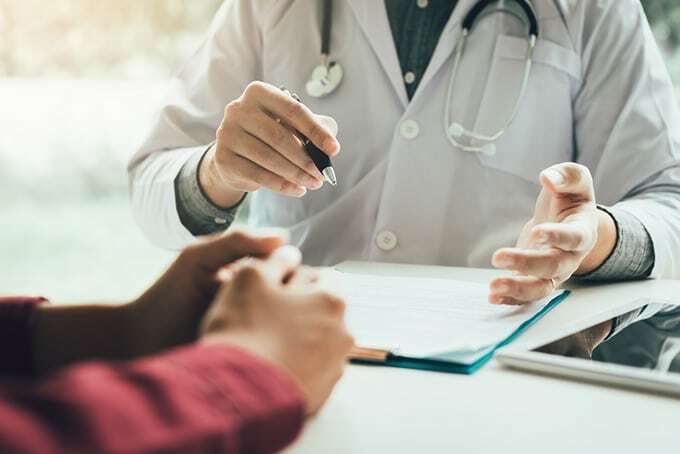 When you see your doctors during checkups, they normally ask a series of general questions that help them make assessments about your physical health and mental well-being. It’s important information to have and analyze to get a total and complete picture of your health. The same goes for your financial health. Questions about how you manage money now will help you assess your current financial well-being and prepare you to navigate emergencies, plan for retirement, or budget for pricey purchases down the road. How does your financial health stack up? To help you figure it out, we’ve put together a quiz you can use to assess how your money’s doing. Pick up your pencil – it’s test time! What was the last major financial mistake you made? This one may sting, but you need to be honest about how you’re spending your money and the impact it’s making on your life. Did you take money out of your emergency fund for a new big-screen TV? Did you overspend on Christmas presents? Did you take out a high-interest cash advance on your credit card to cover basic expenses? Any of these situations may signal money-management problems that need to be addressed. Do you have a monthly budget? If you are budgeting and spending wisely, you may not find yourself making the type of financial mistakes mentioned in Question 1. Why? Because when all your regular expenses are laid out each month and money is allotted for them beforehand, you’re left with a much clearer picture of how much extra cash you actually have to spend. Do you know what your credit score is? Do you check your report at least once a year? Armed with this knowledge, you can make informed decisions about applying for new lines of credit, how much you can afford on a home or car loan, and whether or not there are any inconsistencies on your credit report that are harming your score. All of the three major credit scoring bureaus offer a free report once a year, and many credit card companies will give you your score for free if you have an account with them. Does your credit score fall between 670 and 739? This is important because this range is considered “Good” by the credit bureaus. If you fit this bill, you are viewed as an acceptable borrower in the eyes of lenders. However, this rating won’t necessarily earn you the best interest rates. To do that, you need to raise your score by continuously paying your bills on time and keeping your credit card balances low, relative to their limits, at least under 30 percent of the available limit. Are you saving for retirement? Not many of us want to work until we drop, so it’s wise to have a plan in place for expenses in our golden years. Check with your employer about options, or engage a financial consultant to establish a retirement fund – and the sooner the better. Do you have an emergency fund? Experts recommend we keep at least three to six months of expenses set aside. Admittedly, this is tough for many of us, so why not start by focusing on saving at least $1,000 and building from there? To get it done, think carefully about how you can save cash each month – cutting out extras for a few months might be the quickest way to start. When you get rolling, consider how you might pick up supplemental cash. House sitting, weekend child care, pet sitting, driving for Uber? There are lots of possibilities. Do you have a living will and power of attorney for your health care? This is especially important if you have dependents to be taken care of after you’re gone, and if you want to ensure your medical wishes are honored and those you trust are empowered to make decisions on your behalf. Do you have an updated resume and up-to-date skills? Nothing wrecks finances faster than job loss, so it’s smart to be prepared to move on to a new position as quickly as possible. In addition to keeping your resume current, make sure you stay abreast of changes in your field, earn new certificates or licenses, and/or take continuing education classes as they come available. All this will make you an attractive hire if you find yourself suddenly unemployed. Are you prepared for upcoming big expenses? If you’re thinking of buying a home or a car, paying the tax man, or ponying up for college or school tuition in the near future, it’s a good idea to start getting financially ready now. Having a handle on a future bill or how much of a down payment you’ll need to secure a mortgage or vehicle loan is smart because you can start putting away a little bit each month now, lessening the stress of having to come up with a large chunk of change quickly. This is by no means an exhaustive list, but it does cover the major issues most of us will face when it comes to managing our money. Being aware of how far your money goes each month, what goals you want to meet in the future, and how to best avoid money pitfalls are steps we all need to focus on. If you need help answering any of these questions, the team at American Credit Foundation is ready to help.